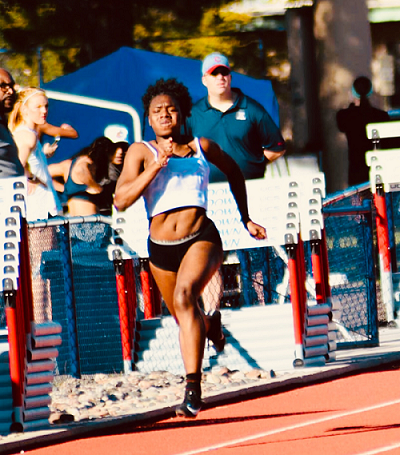 As a junior, Myreanna Bebe ran 13.98 at the Hohokam Invitational, and was the only girl to run under 14-seconds for the 100m Hurdles. 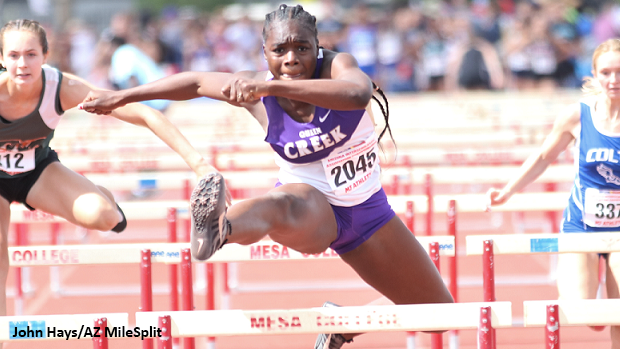 At the AIA Track and Field State Championships, she clinched a State Title in the D2 Girls 100m Hurdles and placed 4th in the D2 Girls Long Jump competition. 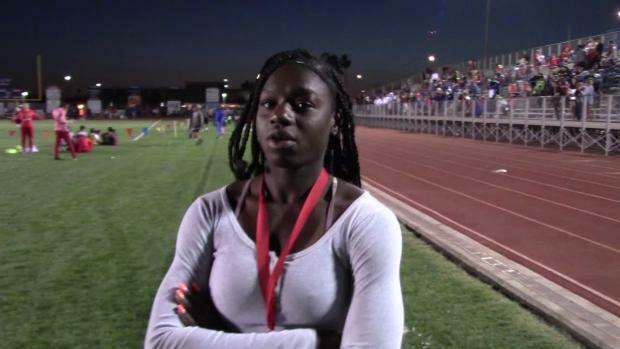 This upcoming track and field season, she will be the top returning high hurdler for Arizona. Where are you from and when did begin running track? I was born in Orlando, Florida. I started running cross country in junior high. I started running as a freshman at Queen Creek High School, after moving to Arizona the first semester of my freshman year. I actually fell in love with it, my junior year. I never thought I would run in college. 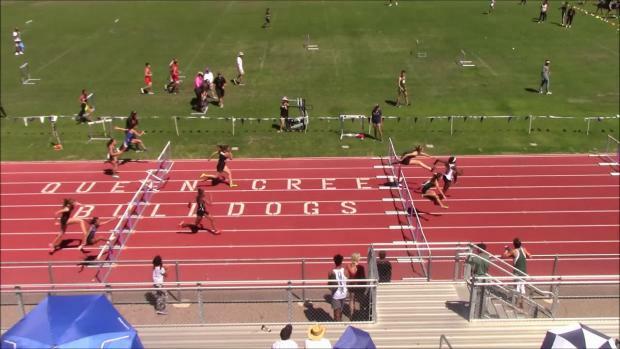 My favorite event is the 100m Hurdles obviously. I just love it. I don't have time to think between the hurdles. It's quick and it's fast. Honestly though, to me track and field is bigger than just events. I run for a bigger reason. 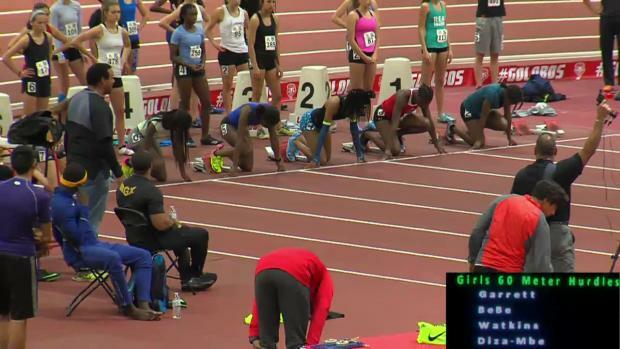 Before meets I pray constantly before races. I like to listen to gospel music like Tasha Cobbs, to get my mind right and then pop music to pump me up. Another artist I like is NBA Youngboy. I also like to stand at the finish line for a good minute, before getting into my blocks. Who has been your most influential coach in your Track career and why? Honestly, I owe a lot to all of my coaches; Coach Hardt, Coach Deddrick, Coach Vernon, and Coach Cliff. All of my coaches are role models to me. 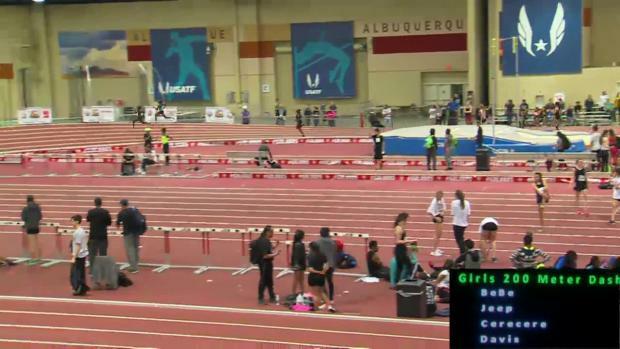 Right: Myreanna Bebe competing at the Winters All-Comers Meet for Arizona Elite Track Club. Do you compete in club track, and if so for whom? How different is the club experience compared to scholastic? I compete for Arizona Elite Track Club. I love club track more because, I feel like it's more lenient with time management. It's year-round, so by the time outdoor rolls around, you're ready to go and you know what to expect. When deciding to commit to a University, what about Louisiana Tech stood out to you? I really wanted to go to a college in Florida but at the same time I wanted to get away. I didn't really focus specifically on where I wanted to go. I let it come to me. When I went to Louisiana Tech, I had to put my emotions aside to see if it was best for me. I honestly felt that at Louisiana Tech I would grow as an athlete and as a person. When you met your future Coach Wesley Miller, was there something that stood out to you about his coaching philosophy/style? I liked how down to earth he is. He really showed me that he cares about me not only as an athlete but as a person as well. I even asked him, "Coach if I do everything you asked me to do when I get there, can you take me to the next level?" He said yes and kept it real with me. I just gotta' work hard. What draws you academically to Louisiana Tech? Have you decided on a major? I am going into pre-med and I also plan to minor in journalism. What has been your favorite moment in your Track and Field career and why? I can definitely say, breaking 14 was the biggest moment for me. That was my goal and when I finally hit it, I was really happy. 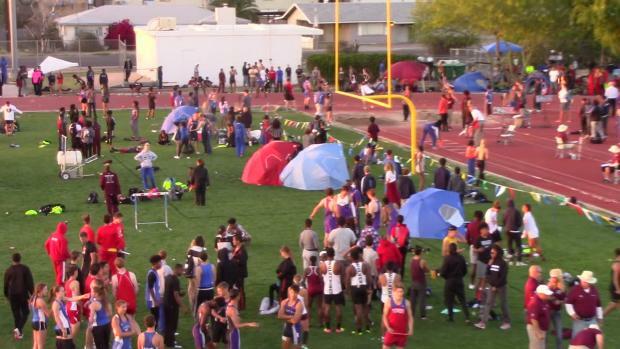 What are your goals for the 2019 HS Outdoor Track season? I haven't set a specific goal. For now, I just wanna' wait and see. I know my training is good but I wanna' go out. This will hopefully be my first year running at Arcadia, and I can't wait to show what I can do there and at Chandler Rotary. My favorite subject is definitely English. I love to write and I love to read. What has been the hardest workout you've ever done up till now? We do a lot of ladders like 500, 400, 300, 200, 100 or we go up 1, 2, 3, 4, 5, 6. 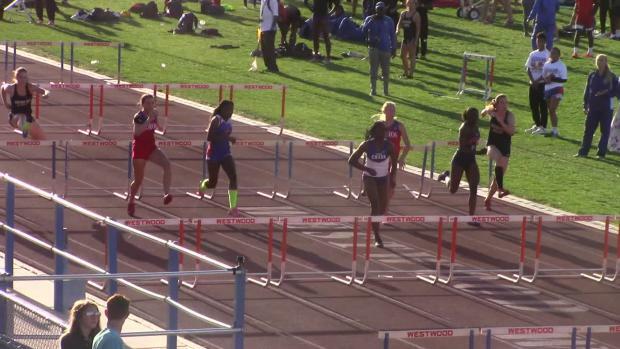 What's something we don't know about you outside of track and field? I feel like my whole life revolves around this sport. I love to sing, I sing all the time. I love to write as well which is why I'm minoring in journalism. Who is your biggest inspiration to whom you'd like to give a shout-out? First and foremost, I'd like to give a shout-out to my older brother Jason Josaphat. He was the reason I committed to running track. (Josaphat was one of the 49 victims killed in the Pulse Nightclub Shooting in Orlando in 2016.) I feel closer to him now more than ever. I always wanted to run track but I was super nervous, but he told me to go out there and try out and when I came to Arizona, I took the opportunity. I'd also like to thank my coaches, my parents, and my friends. What's the best literary work you've read in high school? The Color Purple is my favorite book. I watched the movie and I loved it too. Who's your favorite professional athlete? What are you most excited to do when you get to Ruston, Louisiana? I'm really excited to get to know my team and train and do what I've gotta' do. I love the environment and I loved the people too. Everybody was so nice and friendly. They cook really good food at tailgate parties before the games so I'm excited for those as well.